How can I publish a live Q&A session on the Internet? In the web you can also open the floor for questions! Who are you? why do you organise a Q&A? The starting point that we assume is that you are a digital publisher or related to one as a consultant/advisor/contributor, and you are either active in your website, blog or have a Facebook page. You probably use Twitter as well. The need you have to address is to organise, manage, and publish a session of questions and answers (commonly shortened as Q&A). Why do you need to organise a Q&A on-line? well, it may be that you are a journalist that would like to interview someone, or you are a community manager that is planning to invite someone to answer to your reader’s questions. It could also be the case that you work for a marketing department of a publishing house or a music producer and you are in charge of promoting the author, writer or singer who is making a new launch of a book or record. How were you doing it so far? And the live event will be either not possible or cumbersome. I.e. those systems does not connect questions and answers automatically, manual copy and paste is needed. Or if it works as a chat it will not remain published at the end of the Q&A session. All of these alternatives can do the job somehow, but have one major problem: they are not integrated with the system that you will use to answer the questions. These solutions require you to copy and paste the questions into the platform that you will use to answer them. If you have a platform at all!! in many cases, people will just send the questions to the guest via e-mail or read them loud and type them as the guest gives an answer. 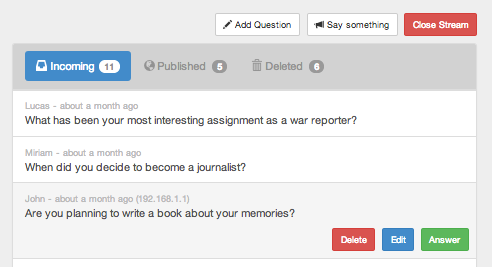 Why not use a Q&A sessions platform that simplifies your publishing workflow? Well, the news are that such software exists already and it is a web application called dilmot.com. Dilmot is a web publishing software. You can open an account for free and give it a try! Create a stream (this is how Dilmot refers to the flow of questions and answers). It is similar to liveblogging or a chat. But it is designed to do one thing well: set up a web page, invite a guest, receive questions, and let the guest answer these questions, while they can be previously moderated. That simple. Besides, you can leverage on the viral power of Facebook and Twitter. Twitter: Readers will be able to send their questions by using a hashtag that you decide as the administrator of the Q&A stream. Facebook & Twitter: Readers will be able to use their credentials in order to identify themselves when they send their question. Dilmot works in a similar way to a blogging platform like wordpress.com or blogger.com in the sense that when you create your account there will be a home page created for you, and it will be a subdomain of dilmot.com, just like WordPress or Blogger do it. Again, like in a blogging platform, you can create posts in your account. But in Dilmot they are not called posts, they are called streams. Stream is the name chosen because it is a sequence of questions and answers. 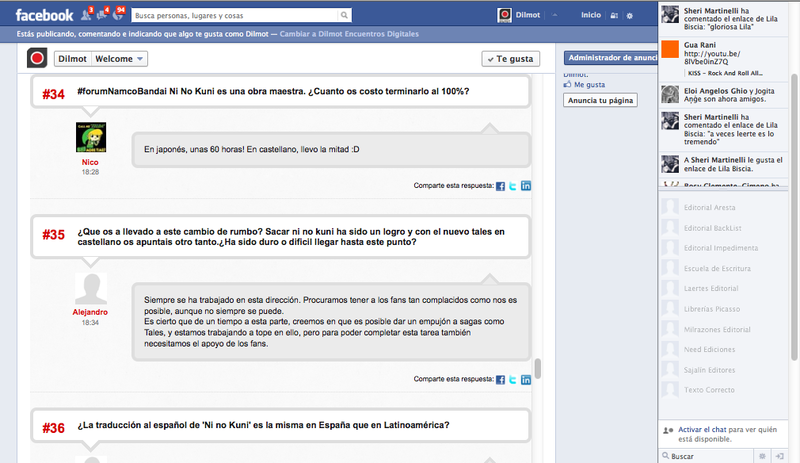 And this sequence of questions and answers are shown like a real-time chat. There is no need to refresh the browser page, because the new questions and the new answers will be shown as they are published by the guest. In the admin page, the account owner can create or delete streams, and for each stream define the title, the guest and generate a secret token access url to send to the guest. This makes organising the event a breeze, since the guest need not any sign-up or special requirement. Once she has the access url, then the guest can see the stream panel with the questions expected for her to answer. The procedure at this point is very simple: Click “answer” within the question that she is going to answer and save, so it gets published. Why not make a video Q&A? We have also launched a new web app to publish live video questions and answers using Google Hangouts and other platforms such as Livestream or Ustream. The reality is that organising a live webcam broadcast is more complex than a live chat Q&A, the main reason being that video requires higher bandwidth and skills to make a good recording. Anyway if you have the right support for the guest, the bandwidth and the time required to set all up, we invite you to open an account at Qstion, the web application to make live Q&A’s. 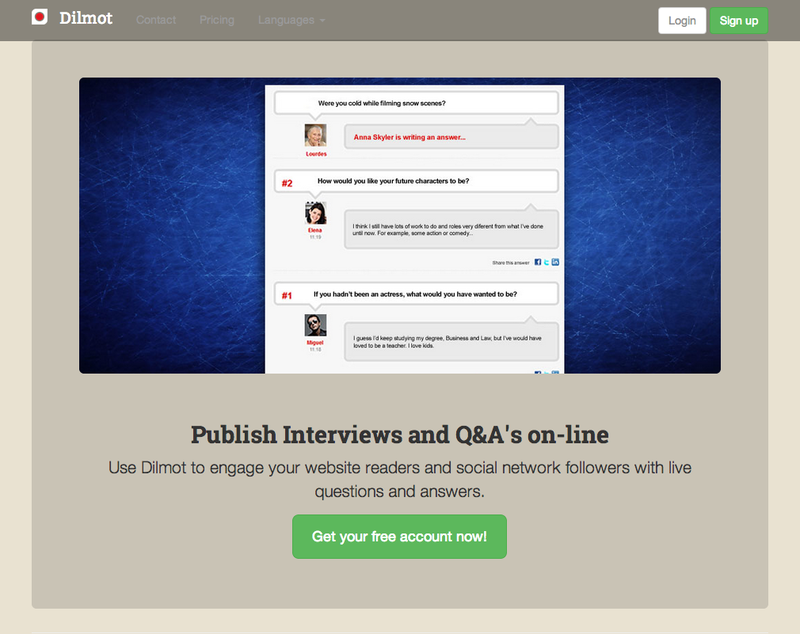 Yes, this is already a long story to convey the message: live Q&A sessions are easy to publish with Dilmot. Go ahead, it is free, and you will only need 2 minutes to see and learn how it works. Good luck! As always, let us know your feedback via comments or contact us directly. We are more than happy to help you out with your project! This entry was posted in Dilmot, How to and tagged AMA, embed, embed Facebook, Facebook, liveblogging, Q&A, QandA, reddit, Twitter on June 26, 2014 by admin. How to make a Q&A session in Facebook? You are building your on-line marketing plan and you wonder, how can you create more user engagement, how can you attract new visitors and allow them to participate, how can you build up your brand value by publishing content generated by personalities, whether they are experts in any matter or celebrities, artists of all kind. The idea is that you can invite an expert, celebrity or any person that you want to expose to the questions of the visitors of your web or Facebook page. Many on-line media have been doing this for a long time. It is a mix of journalism and crowdsourced content. In the example of one of our clients below, you can see a Q&A with a fashion expert. This was published in the US for a clothing e-commerce site. You can see how the answers have links so that that this event can ultimately drive sales, since the visitors to the interview can directly see the items recommended by the guest. We see this example as a good case study of social commerce. So if you would like to try out Dilmot software send us a hello and we will make a demo for you. This entry was posted in Dilmot and tagged e-commerce, embed Facebook, Facebook, Facebook chat, participation Facebook, Q&A, social commerce, social interviews on March 24, 2014 by admin. The community manager is one of the fastest growing jobs in the past years. 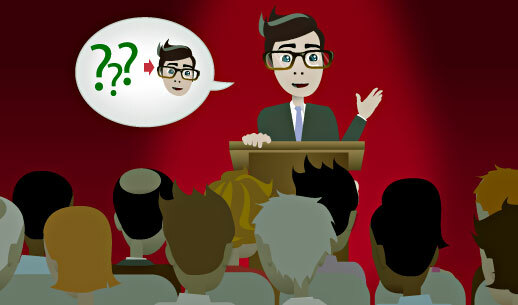 Now they have available a new tool to engage the audience: social Q&A or on-line interviews. With these web chats, the Community Manager can build up values for her organisation and communicate with her target segment. Given the fact that the CM is already managing the social accounts of Facebook, Twitter, WordPress, Pinterest and so on, it is natural that they expand their management powers to these real-time chats, helping to promote them in the social networks. The good combination between the broad, generic social networks (Facebook, Twitter, YouTube…) and the live sessions set-up with Dilmot, result on the perfect combination. Dilmot allows not only to handle the questions and answers in real-time, moderating the discussion, but also allow to keep the discussion published afterwards, with the benefits of branding and web traffic that these entail. The option to moderate Twitter conversations as well as organising the chat within Facebook, put Dilmot as a valuable tool in the everyday activity of the Community Manager. We offer you free consulting to organise your real-time chats with the Dilmot software. Just say hello here. This entry was posted in Dilmot and tagged audience engagement tools, Community Manager, Facebook, moderated chats, Twitter on March 6, 2013 by admin. Some people ask us how to organise the best Q&A session in Facebook. We know it is hard to manage comments and moderate the questions properly if you don’t have a proper application. Dilmot can solve this need easily. We help you to create your moderated web chat with our tool. If you want to hold the discussion within Facebook, then we give you the code that you have to put in your Facebook page. Our preferred Facebook app to create tabs in your pages is Static HTML Plus. You simply install this app in your Facebook page and you are ready to start creating new tabs where you can display your HTML. Do you need help to configure your on-line interview in Facebook? Do not hesitate to contact us, we will be happy to make your event a great success in the social networks. And if you are a fan of Twitter, don’t forget that you can organise your Q&A with Twitter as well. This entry was posted in Dilmot and tagged Dilmot, embed Facebook, Facebook, Q&A on March 4, 2013 by admin.